Edited and arranged by M. Skoryk and A. Solovyanenko. 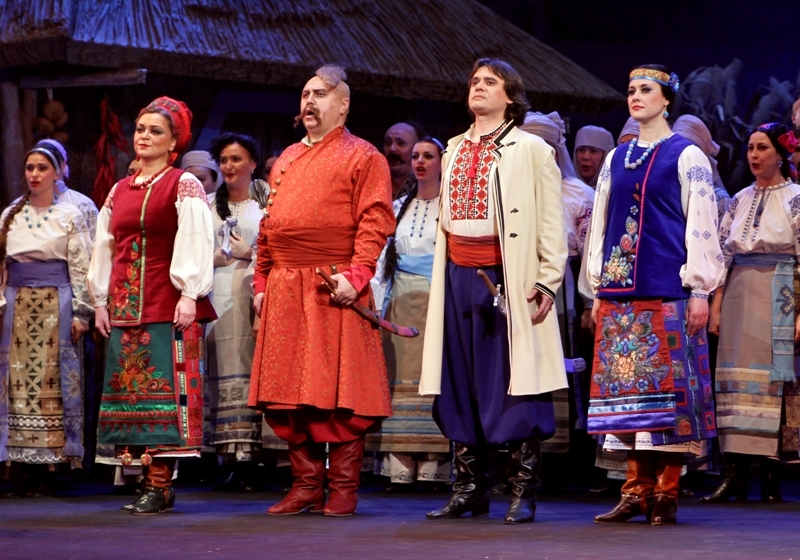 Premiered on the stage of the Kyiv Opera on February 28, 2015. The shore of the Danube in the Turkish dominions. The yard of cossack Ivan Karas. 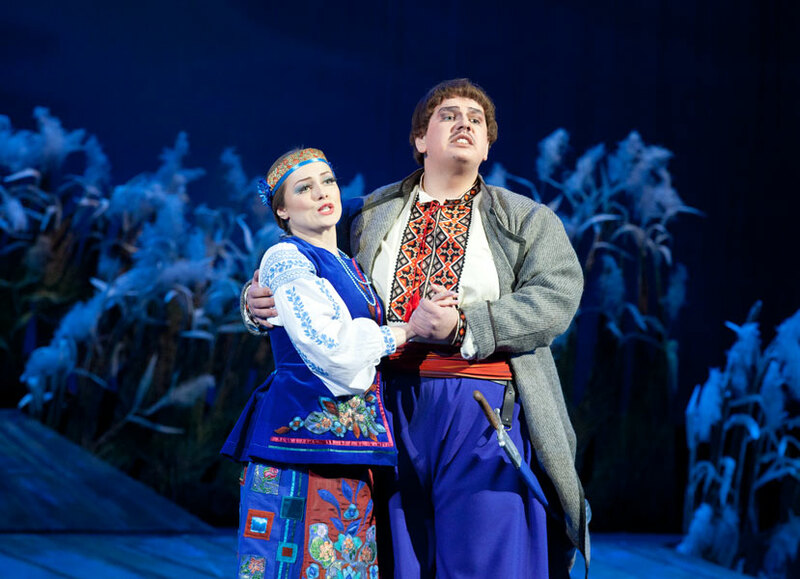 Oksana, the adopted daughter of Karas is longing for their native land. She waits for her beloved cossack Andrii, who has to cross the Danube tonight and must bring important news from Ukraine. Karas returns home. 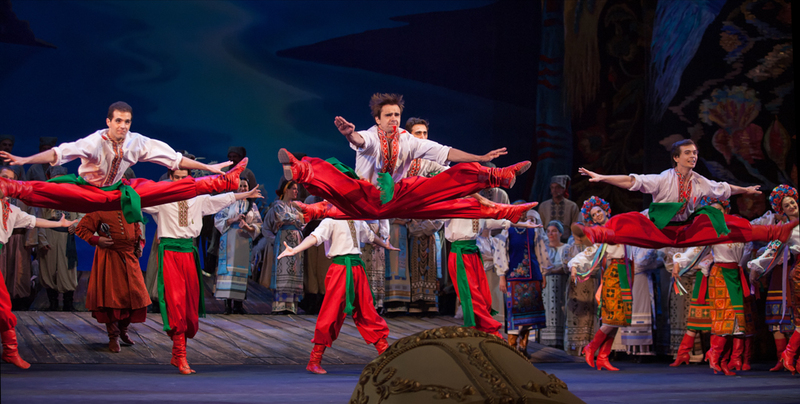 He, like the other cossacks, wants to escape from Turkish slavery. Together with friends, he discussed a plan to escape to his native land. Odarka appears. Karas tries to avoid a contentious meeting with his wife and wants to escape. A quarrel breaks out between the spouses. 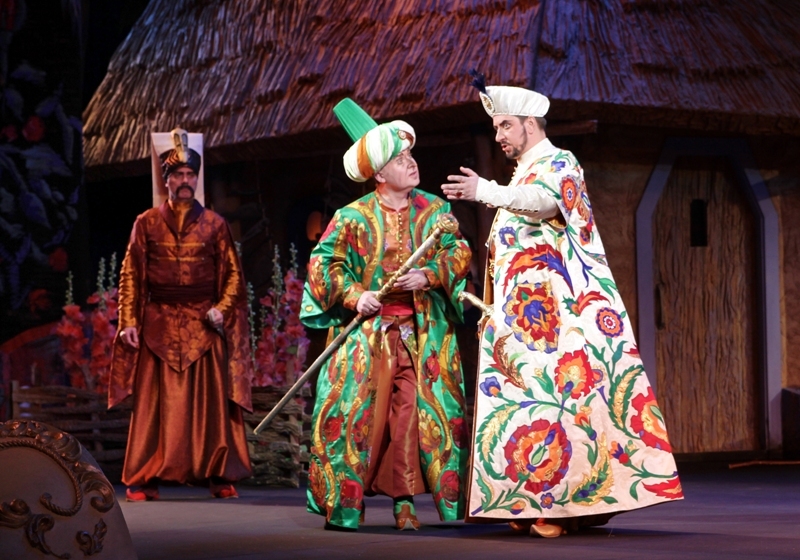 Sultan appears in the yard of Ivan Karas, dressed in ordinary clothes Turkish. 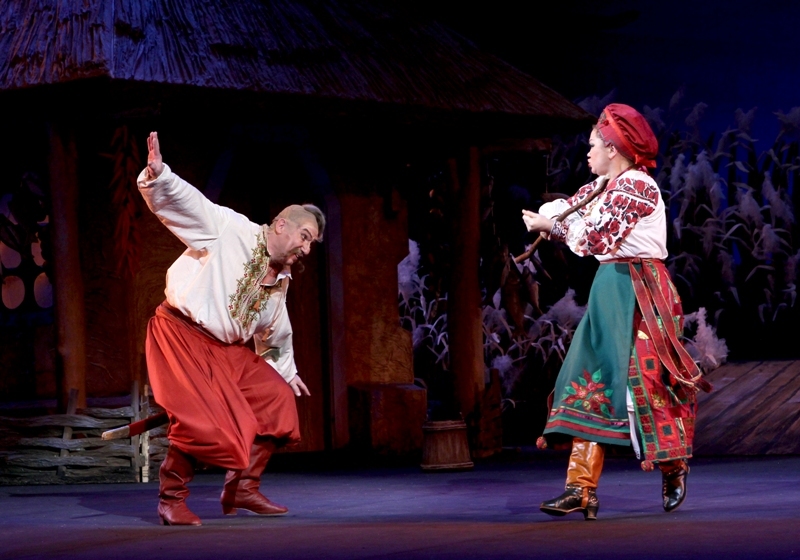 He decided to learn about the thoughts and attitudes of the cossacks. 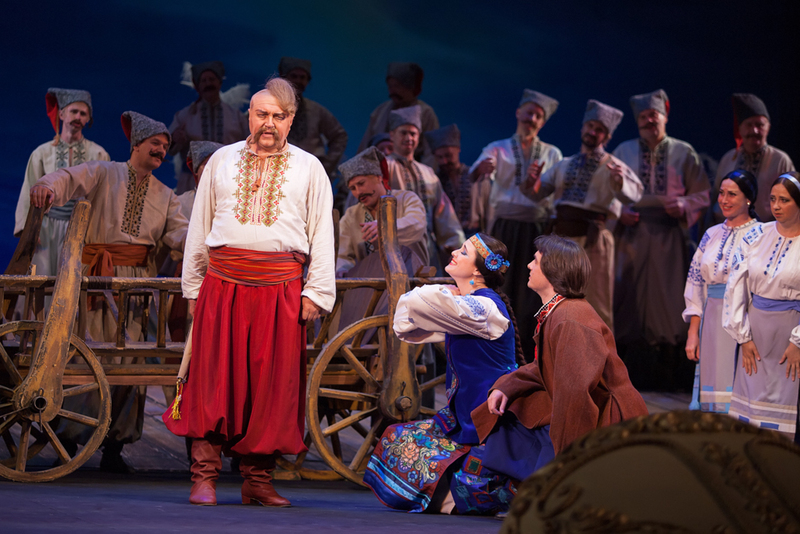 From the conversation with Karas, he learns that Ivan is eager to see the Sultan and tell him about the Cossacks discontent with their life in captivity. Sultan promises to give such an opportunity. Karas wants to drink to the health of the guests and runs into the house to get the glass. Sultan orders Selikh-aga, a noble servant from his suite, to invite Karas to the palace. Karas returned. Selikh-aga passes him Turkish clothing so that Karas would be able to get into the palace. The youth is strolling up and down the street. 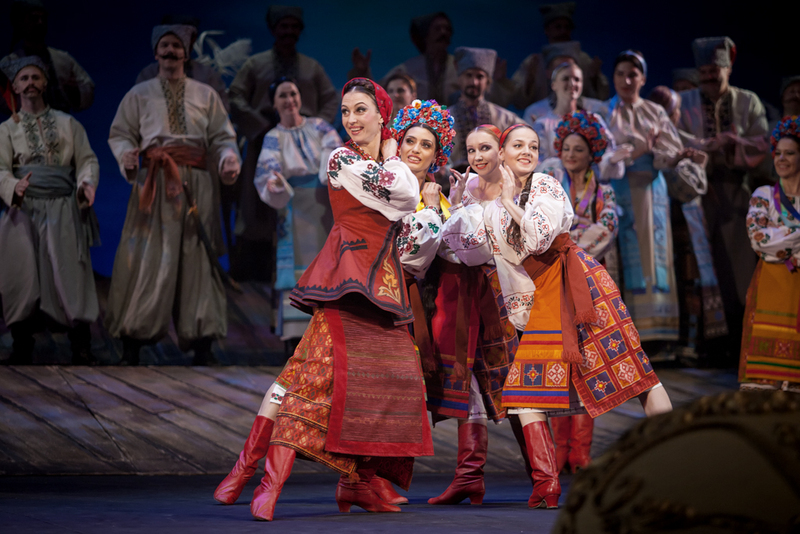 One can hear Ukrainian songs. Suddenly, Turkish guard appears and the street instantly becomes empty. Oksana comes outside. She is worried about the fate of loved Andrew. Awaiting the pleasant moment of meeting, she sings about her feelings for him. Finally there comes Andrew. 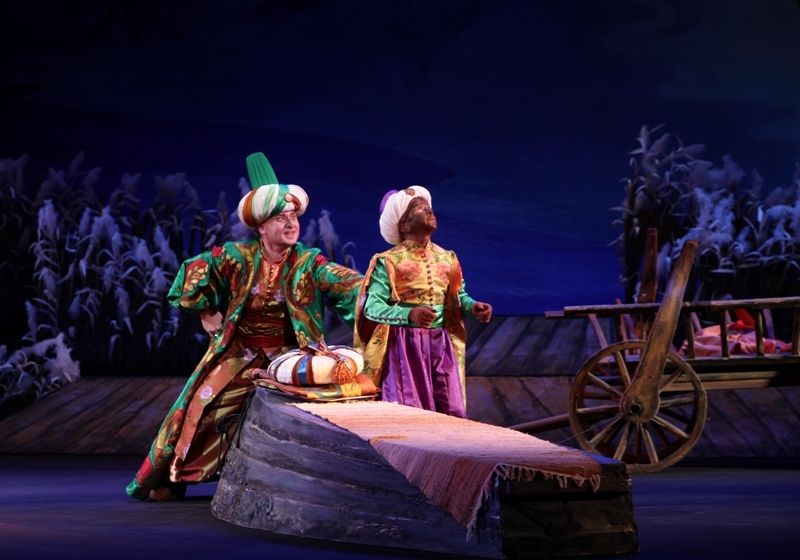 Both swear in mutual loyalty and try to secretly flee from Turkish slavery, but get ambushed. Odarka remembers carefree youth while talking to her neighbors. 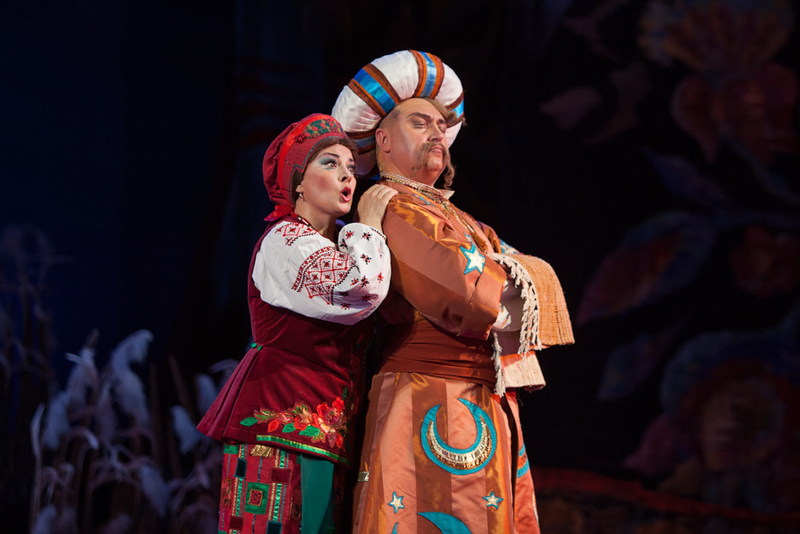 Karas returns happily he met the Sultan in the palace and told the truth about life and the Cossacks that will not continue to obey the Turkish authorities. Seeing Odarka, he decides to make fun of her, posing as a Turk. The frightened woman was seriously thinks that Ivan was crazy. Karas expressed an intention to divorce her, marry with a Turkish woman and start a harem. In the area there is a Turkish guard led by Imam Ibrahim Ali. They lead the caught fugitives - Oksana and Andrew. 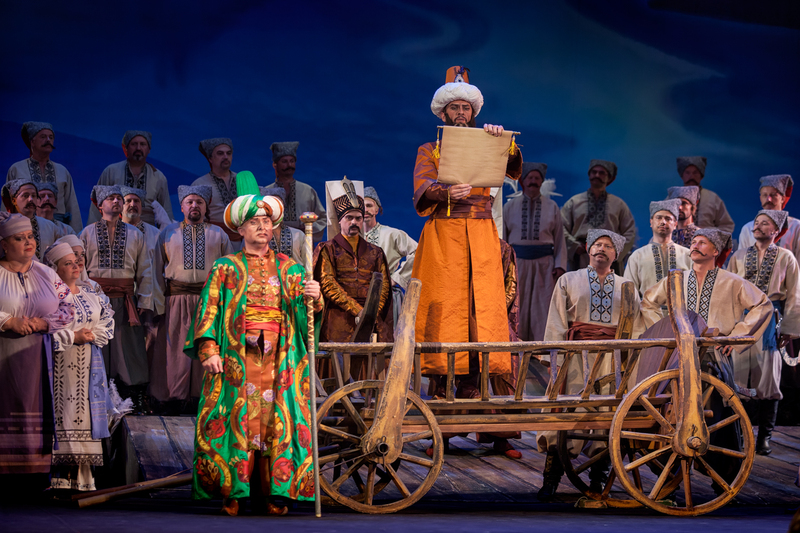 Imam informs the audience that he has a firman – a Sultan’s decree, under which he is ordered to gather all the Cossacks and to find Ivan Karas among them. Suspence is rising. Imam reads the Sultan’s decree. 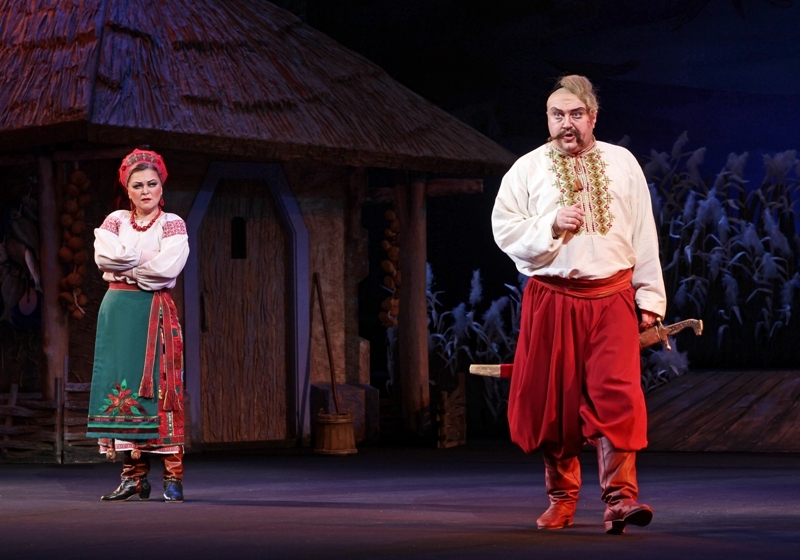 According to it, the cossacks are allowed to return home and fugitives Oksana and Andrew are bestowed forgiveness. 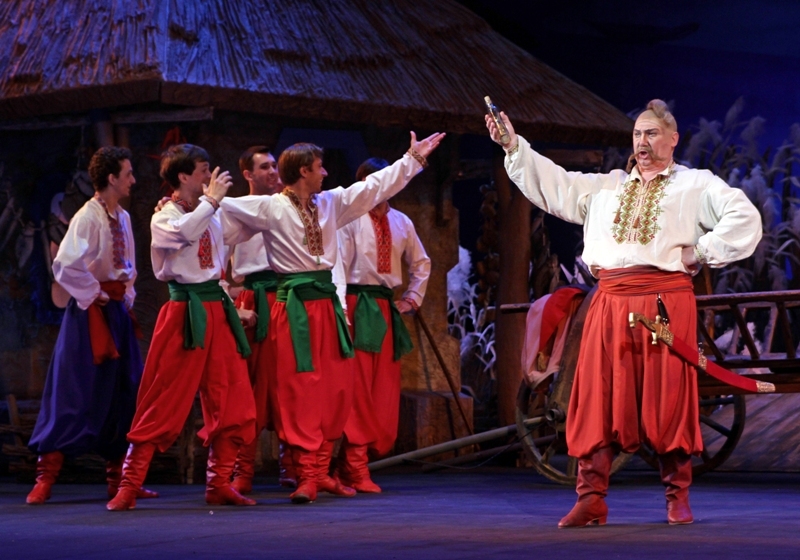 The cossacks praise their homeland. 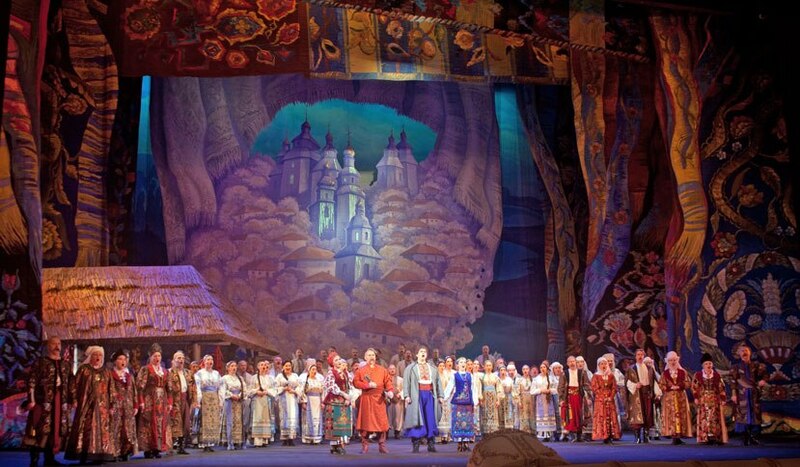 With a prayer they prepare to return to Ukraine. 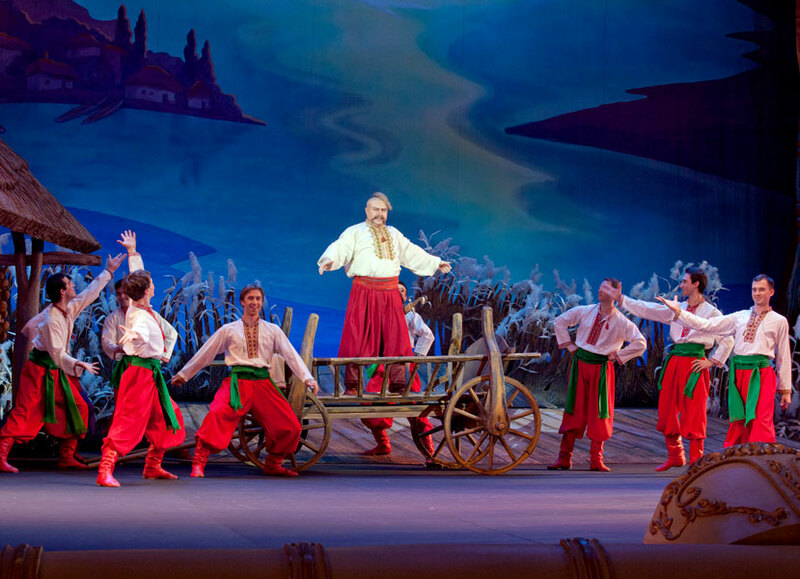 The story is based on a historical event: when the Zaporizhian Sich was overwhelmed by the Russian army, the Zaporizhian Cossacks and their families headed across the Danube River to the apparently safe haven of the Ottoman Empire (this area is now part of Romania) and established the Danube Sich (see Zaporozhian Host: Russian rule). 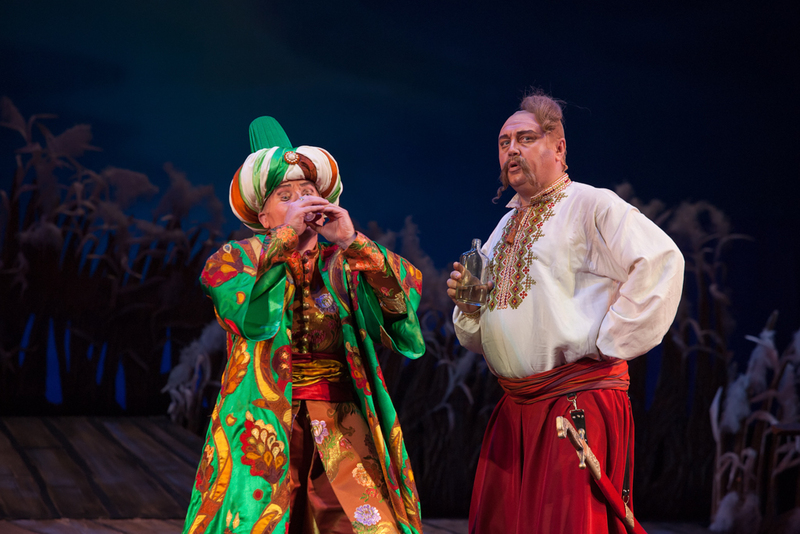 The comedy arises from the efforts made by a Cossack clan to adjust to their new home, and from the eccentric behaviour of an amorous Turkish Sultan. 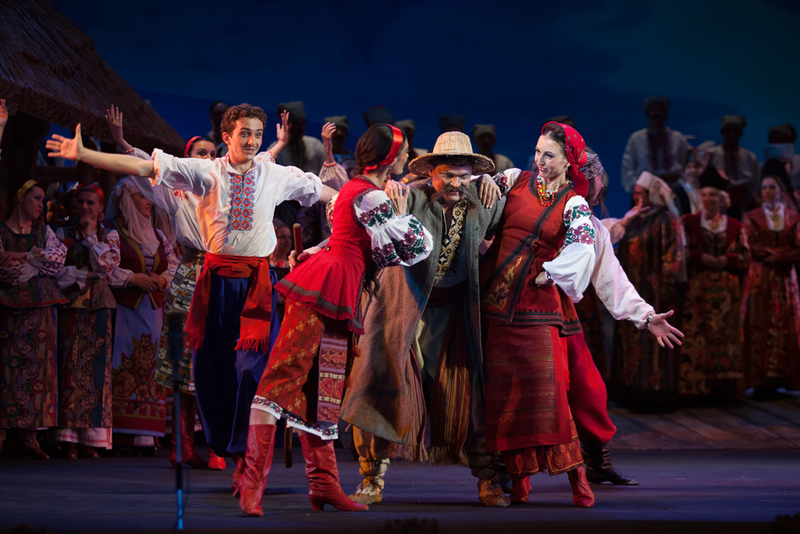 The plot revolves around a chance encounter between Ivan Karas, an old Dnieper Cossack and the Turkish Sultan travelling incognito, resulting in permission for all the "Cossacks beyond the Danube" to resettle on Imperial Russian land, back in Ukraine.